Expert solicitors and barristers in Using a Mobile Phone Whilst Driving cases. Kang & Co’s Driving Offences Solicitors have achieved excellent results at defending motoring offences such as using a mobile phone or other handheld interactive communication device. If you are being prosecuted for using a mobile phone whilst driving, call our specialist Motoring Solicitors on 0345 222 9955 or send us a message via our Enquiry Form. What is the law for Using a Mobile Phone Whilst Driving? The offence of using a mobile telephone or other hand-held interactive communication device is contained within Section 41D(b) of the Road Traffic Act 1988. In most circumstances, this prosecution will be brought because a Police Officer has or believes he has seen a driver using a mobile phone whilst driving. Where a trial would take place? The offence of using a mobile telephone or other hand-held interactive communication device whilst driving is triable only summarily, this means that a trial would only take place in the Magistrates’ Court. The Punishment for Using a Mobile Phone Whilst Driving? As of 1st March 2017, if a person pleads guilty or is convicted of using a mobile phone whilst driving 6 penalty points will be endorsed upon the driving licence of the defendant. A driver education / training course is no longer available for this offence. You can use a mobile phone if it is fully hands-free, for example a mobile phone connected via an in-built car system. A driver is not allowed to pick up the mobile phone and operate it whilst driving, even if this is momentarily. It is often in these circumstances that a Police Officer may see a motorist using a mobile phone whilst driving. 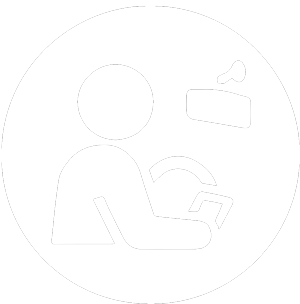 To avoid the risk of being prosecuted for using a mobile phone whilst driving, your hands-free device should be fully set up and connected before you start driving, so you can make and take calls without handling the device. A Police Officer still possess the power to stop you if the Police Officer believes you have been distracted by a mobile telephone while driving, even if the mobile phone is fully hands-free. Many road safety groups believe mobile phones should be completely switched off while driving, to avoid the risk of distractions and collision. If you are using your mobile phone as a navigation device whilst driving, it should be properly fixed to your windscreen or dashboard and the mobile phone should not obstruct your view of the road. The destination should be entered before you start driving and you should not use the phone whilst driving, as you could be prosecuted for using a mobile phone whilst driving. The prosecutor must prove to the Magistrates’ Court, beyond reasonable doubt that the Defendant was at the time driving with a phone in his / her hand, which was in use. The term ‘use’ includes using the device for any telecommunications purpose, not simply making or receiving telephone calls. The term ‘use’ includes texting while driving, using any ‘Apps’ or messaging services such as ‘WhatsApp’ that allow you to communicate with others. If you are being prosecuted for using a mobile phone whilst driving and you dispute this, you should plead not guilty, the matter will then progress to a contested trial at the Magistrates’ Court. In such cases the defence is an outright denial because the defendant denies using a mobile phone whilst driving. The circumstances of your case will shape the defence and to have a good change of a successful outcome (an acquittal) you will need a well-argued defence from an experienced and specialist motoring law solicitor. The experienced solicitors and barristers at Kang & Co can offer you the best chance of a successful outcome. Our lawyers have achieved successful outcomes in numerous cases of using a mobile phone whilst driving. The offence of using a mobile telephone or other hand-held interactive communication device whilst driving could potentially result in a totting up disqualification, due to the number of points this offence attracts. Kang & Co Solicitors have expert motoring law solicitors and barristers with considerable experience in defending cases of using a mobile phone whilst driving and have successfully challenged the prosecution case, which on numerous occasions has avoided a driving disqualification. We represent clients for mobile phone offences around the Midlands in places such as Birmingham, Leicester, Stafford, Tamworth, Lichfield, Stoke-on-Trent, Wolverhampton, Nottingham, Derby and Leamington Spa. 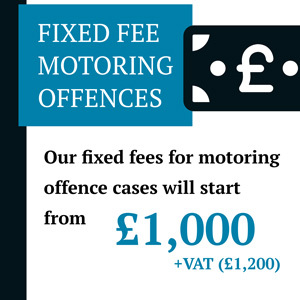 Call our Driving Offence Solicitors on 0345 222 9955 for an initial free consultation about your case or fill out our enquiry form. Caught using a mobile phone whilst driving? We can help. Kang & Co Solicitors truly specialist solicitors and barristers have achieved excellent results at defending clients who were caught using a mobile phone whilst driving.